Chazz Opinion : These treats shaped like a stick are chewy and deelish. I really like them!! See, I don’t likey to eat hard biscuit-type dog treats. One of my front tooths iz a little loose so I prefer chewy or training treat type snacks. 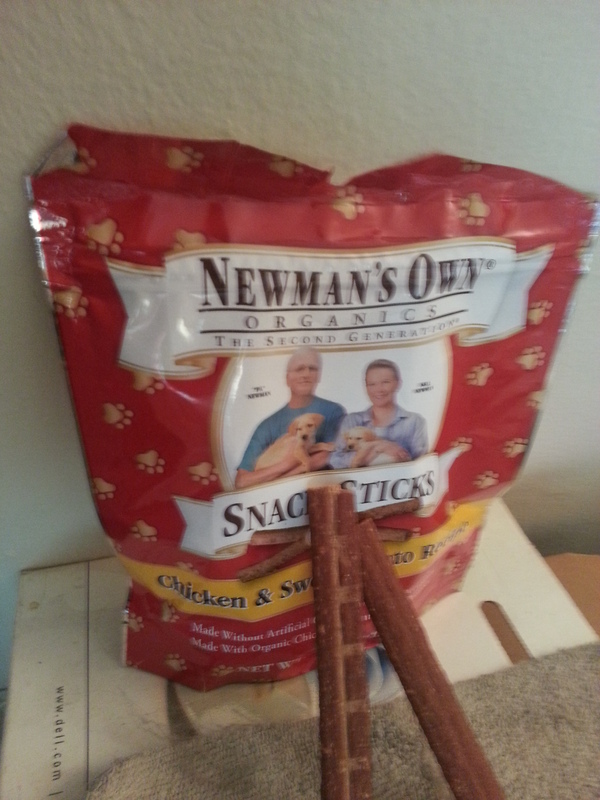 *DROOL* These Newman’s Own Organics are yummy in my belly!!! Chewy.com delivers pet happiness by conveniently shipping 300+ brands of pet food and stuff (for FREE!) while celebrating and honoring the bond, love and connection we share with pets. The ideas & opinions expressed in this post are our own; and have not been influenced by any outside sources. We received one bag of treats for the purpose of this review. AdoptedMomtoChazzTheDog Blog is part of the Chewy.com Blogger Program.